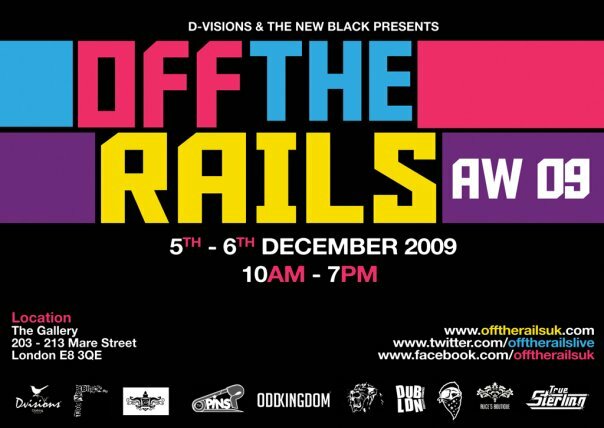 Off The Rails is the type of event we really like to support; groups of independent young artists and designers coming together to support each other and create an event which really helps the independent fashion industry. 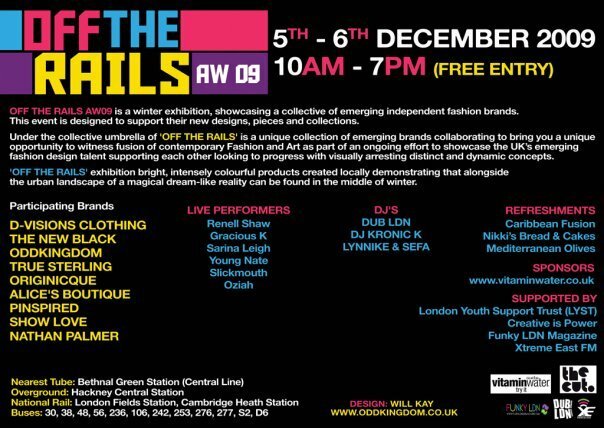 “Off The Rails AW09 is a Winter exhibition, showcasing a collective of emerging independent fashion brands. This event is designed to support their new designs, pieces and collections”. There is a 9-strong group of independent brands at the event, who will be displaying their newest collections and providing you the opportunity to pick up some exclusive items. The event will also host a number of DJs, and live performances from the likes of Young Nate and Gracious K.
I’ll be there doing the migraine skank and checking out some up and coming designers. The event takes place on the 5th and 6th of December, 10am to 7pm. For more info, check the flyer or event page.